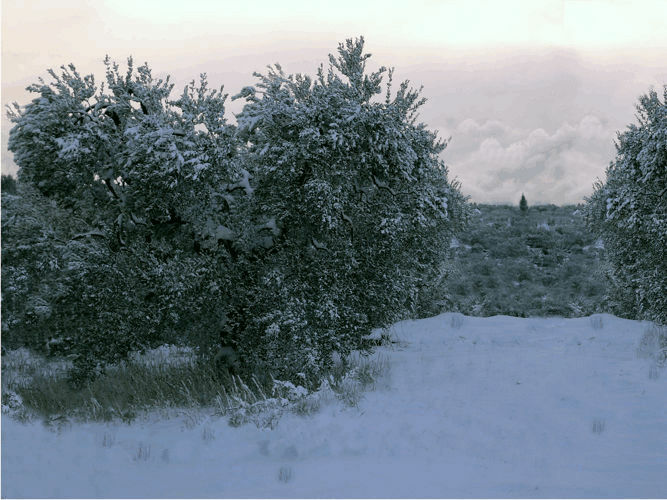 There has been heavy snow in Campania and Sicily over the last week, so the collection of the Pomora January 2017 olive oil has been delayed by about a week. Apologies for this, but we endeavour to get the oil to you asap, hopefully still by the end of January. Rest assured, the January 2017 delivery has not been damaged and is still in pristine condition. This weather is hugely unusual and unexpected, especially as the delicious olio nuovo was all packed up and ready to be delivered. In Sicily it hasn't been this cold for over 20 years. December saw an unusual amount of rainfall followed by a significant drop in temperature in January. 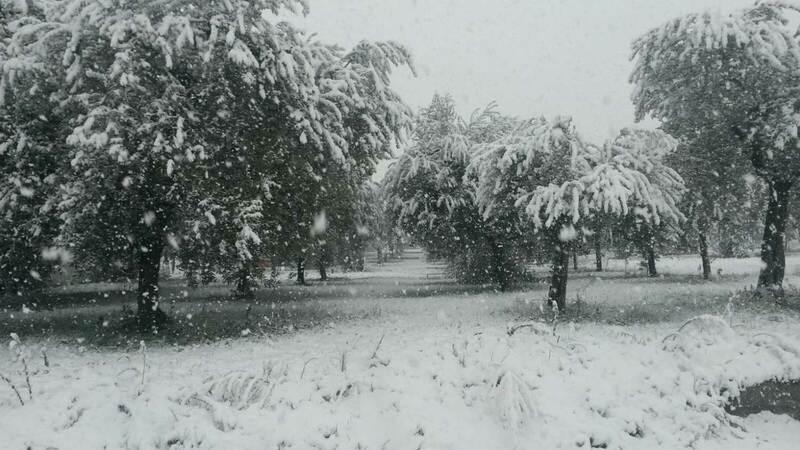 The high regions of Mount Etna saw temperatures reach -10/15°C with a snowfall of up to 3M. In the high hills on Etna temperatures were down to -3/5°C (the normal temperature there is around 7/8°C!) with the snowfall reaching 5-10CM. The good news is olive oil production for 2017 is not affected as the olive trees are dormant at this time of year and temperatures are not low enough to damage the trees. PHOTOS: Above show's Antonio's olive grove in Campania. Below is Camelo's grove in Sicily.